Create your own spin on the classic French Twist as fast as you can say “Ooh la la” with the Suave Professionals Luxe Style Infusion Smooth Collection. 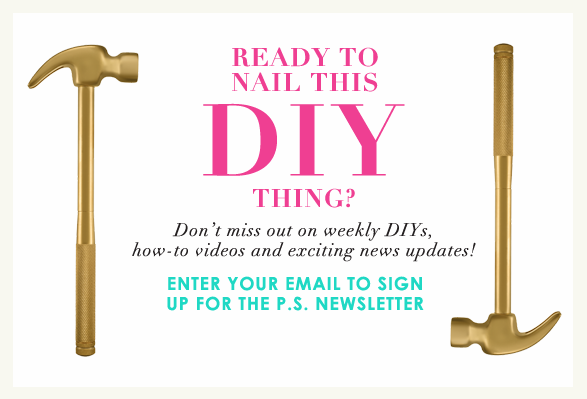 We’re taking DIY and making it SIY. We invented a look that puts the style in hairstyle, and lets you Style It Yourself by adding a row of big gold bobby pins as a bold, graphic accent, followed by a blunt tail-end that completes it with a sharp, asymmetrical anchor. Get on board, get creative and whip up your own je ne sais COIF! To create: Apply Suave Professionals Luxe Style Infusion Smoothing Light Weight Weather Proof Cream to damp hair to keep hair frizz resistant and sleek and shiny. Blow dry hair with a paddle brush, keeping in the direction of air going down the hair shaft. Use a smooth iron to polish the hair. Apply Suave Professionals Luxe Style Infusion Anti-Humidity Hairspray and brush hair off from the face. Gather hair into a ponytail and twist hair. Hook your index and middle finger around the pony tail. Twist hair and create a loop with your other hand. Continue to twist around the looped hand and then pull the loop through the top. Use large bobby pins to secure. Spray Suave Professionals Luxe Style Infusion Anti-Humidity Hairspray to smooth flyaways, keep your hair frizz resistant for 72 hours and provide hold secure the style. Add flair as needed. Be sure to share your SIYs with @SuaveBeauty using #StyleItYourself and #SIY!